PRODUCT DETAILS: Wilbur Curtis Paper Filters 15.00 X 5.50, 500/Case - Commercial-Grade Paper Filters for Coffee Brewing - GEM-6-101 (Pack of 500). Brew Basket Compatibility: WC-3398, WC-3422, WC-3422IC, WC-3399, WC-3396-101 Paper coffee filters were made from high-grade paper to provide an even flow of coffee through the filter and preserve taste. Designed to be used with commercial coffee brewers. Paper coffee filters (for commercial use) prevent coffee grounds from overflowing while brewing. Paper filter meets commercial brewer needs and preserves coffee flavor. These paper filters are perfect for commercial coffee brewers. Brew Basket Compatibility: WC-3398, WC-3422, WC-3422IC, WC-3399, WC-3396-101 Paper coffee filters were made from high-grade paper to provide an even flow of coffee through the filter and preserve taste. Designed to be used with commercial coffee brewers. Paper coffee filters (for commercial use) prevent coffee grounds from overflowing while brewing. Paper filter meets commercial brewer needs and preserves coffee flavor. The Wilbur Curtis name is synonymous with a full line of the world's most advanced, top-of-the-line commercial coffee brewing equipment, iced tea brewing systems and specialty beverage dispensers. 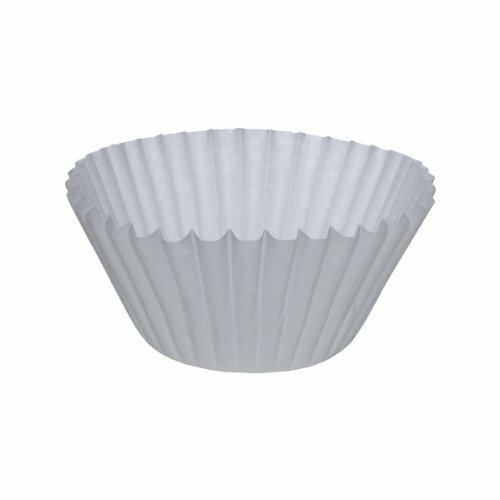 These paper coffee filters are easy to use and dependable for restaurants. Wilbur Curtis is the preferred beverage equipment provider of restaurants, hotels and other commercial food service establishments. Its products are designed to meet the durability and performance needs of food service professionals. Popular choice because these commercial coffee paper filters preserve the fresh taste of gourmet coffee.